Over the years, thanks to YOUR wonderful support, we have been blessed to support a number of unique programs that give comfort to patients both young and old. 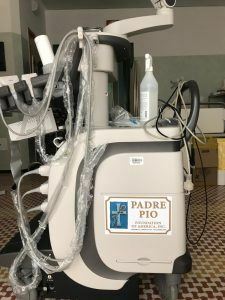 No trip to San Giovanni Rotondo would be complete without meeting the Director of the Hospital to identify how the Padre Pio Foundation of America can step in where the need is greatest. Our Executive Director Julie Fitts Ritter learned that the Hospital was leasing ultrasound equipment because their ancient machine had broken down. Your incredible generosity allowed us to purchase a new ultrasound machine for them! ‘Clown therapy’ still brings laughter and cheer to countless sick children who are undergoing cancer treatment. It has become such an integral part of the oncology ward that nobody can imagine ever abandoning it, so now the clowns have become part of the whole hospital. Earlier in March, Pope Francis came to meet them! 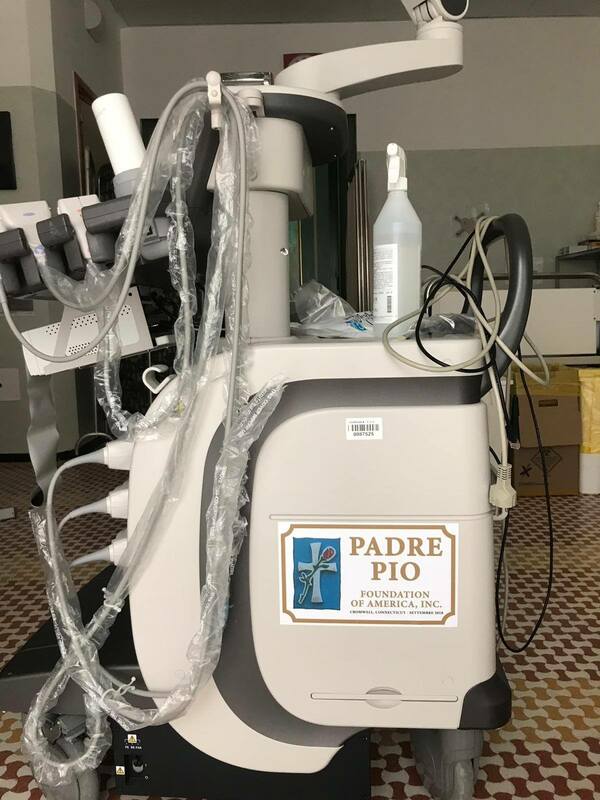 Again, because of your generosity, we were able to fund a pilot project to transport cancer patients between Bari and the Padre Pio hospital for free. Realizing the huge benefit, another benefactor of the hospital stepped forward to donate a shuttle bus so this service could continue.